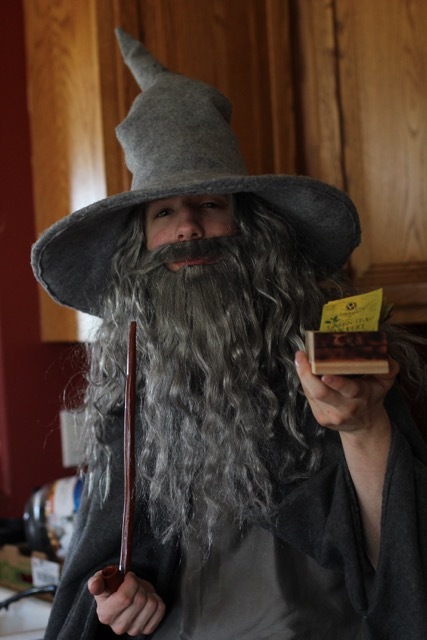 Landon sewed this Gandalf costume for Halloween two years ago, but it rarely emerges from its protected hiding place. So I was a little confused to find Landon staring at me calmly in full wizard garb. I gave him a blank look, then thought I knew his plan. “Oh, you made coffee?” I asked hopefully. The Tolkein-esque lettering on the front explain the Gandalf costume. 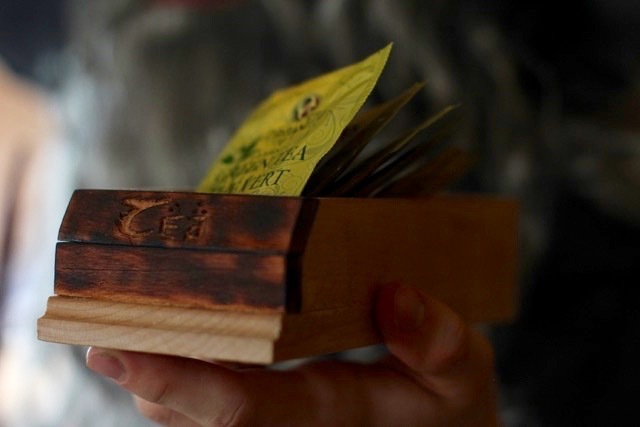 The day before I had hinted to Landon that he should try to make a second tea bag organizer. He made the first a while ago, when he was more of a beginner at wood work, and it was unfinished and risked being ruined by any moisture. I knew he had been practicing his carpentry skills lately, but didn’t realize he was quite this handy in the shop.